Do you have any questions prior to your visit to the Clarion Hotel Trondheim? We hope you'll find all the answers you need here. There are 300 indoor spaces just below the hotel. You can get straight up to the lobby from the parking garage via the stairs or lift. The parking facilities are owned by Trondheim Municipality and we are unfortunately not able to offer our guests discounted rates here. The daily price is 230 NOK. Please note that you will be charged every time you drive out of the garage and the hotel cannot be held responsible for any price changes. Clarion Hotel Trondheim is a cash-free hotel. This provides a safer working environment for our staff as it reduces the risk of theft and burglary. It also means that we have more time to spend on taking care of our guests. For guests it means faster and more secure payments. We accept all major debit and credit cards. Please contact us for more information. We serve lunch and dinner, hot and cold. All our hotel rooms and public areas have free wireless Internet access. Just connect to ClarionConnect or use your Nordic Choice Club membership number to log in to our wireless network. It really couldn't be easier! Perhaps you'd like to exercise during your stay with us? The hotel is near the 3T-Pirbadet fitness centre, which is free of charge for business traveller staying with us. Tickets are available from the reception. For other guests, we offer a special price of 120 NOK for a day, and tickets can be purchased directly at 3T. How do you like the idea of starting your day with a dip in Norway's largest indoor pool? Pirbadet is suitable for families with children and fitness enthusiasts too, with a whirlpool and several swimming pools. Entry to Pirbadet is just NOK 120 NOK per person for hotel guests. Tickets can be purchased from the hotel reception. If you like to jog, we can recommend some good routes. We sell a good range of essential items at the reception, including toothbrushes, razors and sewing kits. There is also a Rema 1000 shop next to the hotel. If you need anything else, just contact the reception and we'll be more than happy to assist you! Would you like to treat yourself to an extra luxurious stay? Perhaps a VIP package in the room for when you arrive? You can order the VIP package for yourself or someone special by emailing cl.trondheim@choice.no. Are you celebrating a special day? Or would you simply like a truly special stay? 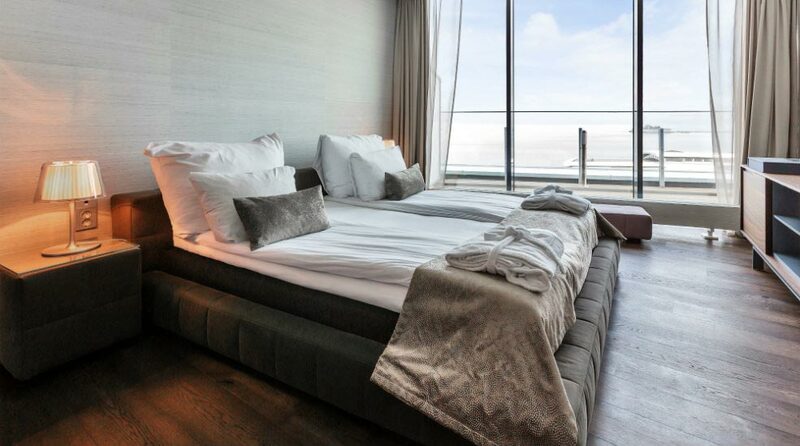 Then go ahead and upgrade your room to one of the Clarion Hotel Trondheim's spectacular suites. Please contact groups.cl.trondheim@choice.no for more information and any other questions. Trondheim is an exciting city where you can enjoy plenty of cultural and historical experiences. There are also lots of great shops! For further information, please contact the reception. As the Kitchen & Table restaurant is often rather busy, we advise our guests to book a table.